This is an original quality part manufactured by Febi. FOR VW GOLF. Febi Fuel Pump High Pressure. VW Golf MK VI [2008-] Hatchback 2.0 R 4motion (1984ccm 256HP 188KW Petrol). VW Golf MK VI [2008-2016] Hatchback 2.0 GTI (1984ccm 235HP 173KW Petrol). VW Scirocco 137 [2008-] Coupe 2.0 R (1984ccm 256HP 188KW Petrol). 2 Year Warranty Febi Fuel Pump. FEBI OE PRODUCTS. FEBI QUALITY STRUT MOUNT. VW CADDY III (2KA, 2KH, 2CA, 2CH) 1.9 TDI. BOSCH WIPER BLADES & MOTOR. CHAMPIONS WIPER BLADE. BOSCH IGNITION & FUEL PARTS. FIRSTLINE WATER PUMP. FUEL PUMP fits VW PASSAT Saloon - 05>10 - FE38650. 2 Year Warranty Febi Fuel Pump. FEBI OE PRODUCTS. FEBI QUALITY STRUT MOUNT. BOSCH WIPER BLADES & MOTOR. CHAMPIONS WIPER BLADE. BOSCH IGNITION & FUEL PARTS. VW BEETLE CJAA (5C7, 5C8) 2 TDI. FIRSTLINE WATER PUMP. With fuel sender unit - Intake Manifold Injection/ Carburettor. 2 Year Warranty Febi Fuel Pump. FEBI OE PRODUCTS. FEBI QUALITY STRUT MOUNT. Estate / Petrol Engine / All-wheel Drive. BOSCH WIPER BLADES & MOTOR. FUEL PUMP fits VW PASSAT Estate - 88>97 - FE24870. Intake Manifold Injection/ Carburettor. 2 Year Warranty Febi Fuel Pump. FEBI OE PRODUCTS. FEBI QUALITY STRUT MOUNT. Box / Petrol Engine / Front Wheel Drive. BOSCH WIPER BLADES & MOTOR. CHAMPIONS WIPER BLADE. Audi Volkswagen Seat Skoda FSi, TSi & TFSi engines. 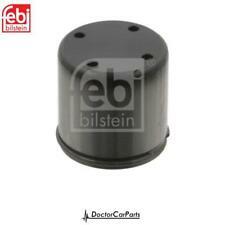 Febi OEM Fuel Pump Cam Follower Hydraulic Tappet for. Equivalent to the following genuine part numbers. 06D 109 309 C. Length - 21mm. 6D 109 309 F. 6D 109 309 C.
• Wide Selection of parts for your German Car at one place. We are also not responsible for installation errors, labour expenses, or any other expenses that may occur. • Safe and Secure Ordering System. FUEL PUMP fits VW VENTO Saloon - 91>98 - FE24870. Intake Manifold Injection/ Carburettor. 2 Year Warranty Febi Fuel Pump. FEBI OE PRODUCTS. FEBI QUALITY STRUT MOUNT. Coupe / Petrol Engine / Front Wheel Drive. BOSCH WIPER BLADES & MOTOR. CHAMPIONS WIPER BLADE. With fuel sender unit - Intake Manifold Injection/ Carburettor. 2 Year Warranty Febi Fuel Pump. FEBI OE PRODUCTS. FEBI QUALITY STRUT MOUNT. Estate / Petrol Engine / Front Wheel Drive. BOSCH WIPER BLADES & MOTOR. From steering, engine, brake, chassis and wheel fastening technology to vehicle electrics - with a range featuring over 20,000 spare parts, you will always find exactly the part you need at febi. We are not only a supplier, but are also making our mark on the market as a manufacturer with our "Made in Germany" solutions. HYDRAULIC CAM FOLLOWER fits VW PASSAT Estate - 14> - FE49744. Equivalent Part Numbers. This is an original quality part manufactured by Febi. Weight:0.01 kg. 38650 FEBI New Genuine Original Quality High-Pressure Fuel Pump with Gasket. FUEL PUMP fits VW GOLF Hatchback - 08>13 - FE38650. FUEL PUMP fits VW EOS Convertible - 06>15 - FE38650. FUEL PUMP fits VW SCIROCCO Coupe - 08> - FE38650. FUEL PUMP fits VW GOLF Estate - 07>09 - FE38650. FUEL PUMP fits VW GOLF Convertible - 11> - FE38650. FUEL PUMP fits VW GOLF Hatchback - 03>09 - FE38650. FUEL PUMP fits VW PASSAT Saloon - 88>97 - FE24870. FUEL PUMP fits VW JETTA Saloon - 05>10 - FE38650. FUEL PUMP fits VW PASSAT Estate - 05>11 - FE38650. FUEL PUMP fits VW GOLF Hatchback - 83>92 - FE24870. FUEL PUMP fits VW GOLF Hatchback - 91>98 - FE24870. This is an original quality part manufactured by Febi. FOR VW JETTA. Length:21 mm. Vehicle compatibility. FUEL PUMP fits VW JETTA Saloon - 83>92 - FE24870. FUEL PUMP fits VW CORRADO Coupe - 87>95 - FE24870. This is an original quality part manufactured by Febi. FOR VW SCIROCCO. Length:21 mm. Vehicle compatibility. Part specifications. HYDRAULIC CAM FOLLOWER fits VW BEETLE Convertible - 11> - FE49744. HYDRAULIC CAM FOLLOWER fits VW GOLF Convertible - 11> - FE49744. HYDRAULIC CAM FOLLOWER fits VW GOLF Hatchback - 12> - FE49744. 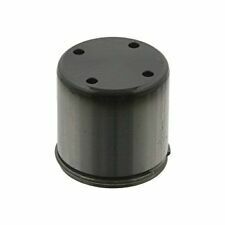 HYDRAULIC CAM FOLLOWER fits VW CADDY Estate - 15> - FE49744. HYDRAULIC CAM FOLLOWER fits VW CADDY Estate - 04>15 - FE49744. HYDRAULIC CAM FOLLOWER fits VW PASSAT ALLTRACK Estate - 15> - FE49744. HYDRAULIC CAM FOLLOWER fits VW CC Coupe - 11>16 - FE49744. HYDRAULIC CAM FOLLOWER fits VW CADDY ALLTRACK Estate - 15> - FE49744. HYDRAULIC CAM FOLLOWER fits VW TOUAREG Closed Off-Road Vehicle - 10> - FE49744. HYDRAULIC CAM FOLLOWER fits VW SHARAN MPV - 10> - FE49744.